As 2018 comes to a close, we at e27 want to end on a high note with our newly minted learning programme, e27 Academy. The e27 Academy is a three-day startup learning programme that is geared towards helping aspiring and early-stage founders. It includes one-on-one consultations and workshops, with local transport and food packaged together. Today, we are pleased to announce that on top of the existing perksand benefits awaiting the participants, e27 Academy is now joining forces with Asia Pacific Telecom Group (APTG)! The partnership aligns with e27 Academy’s mission to grow an online and offline platform for aspiring and early-stage startup founders, by building the right foundation through content, community, and coaching across Southeast Asia. APTG is one of the major Telecom Operators in Taiwan, providing broadband, wireless, and fixed-line telecommunication services. In 2018, APTG launched their inaugural Accelerator Programme together with Institute for Information Industry from (III) Taiwan, with the hope of ramping up 5G innovation to strengthen Taiwan’s digital industry. If you are an aspiring or early stage startup founder focussing on the Information & Communications Technology (ICT) sector, with an idea or prototype to introduce to the market, this is for you. Together with our partners, e27 will select founders who applied for the scholarship to attend the e27 Academy. Eligibility: Startup founders with innovative business ideas or market-ready products to expand overseas. Responsibility: Founder is required to complete the three-day e27 Academy program with no class absences. The deadline to apply for the scholarship is November 23, 2018. Click here to send your application. Keen to know more about APTG? On top of the scholarship, APTG has more exciting startup-building programmes lined up for 2019. So come and say hi to them at the e27 Academy on November 28-30 and chat about upcoming activities in-store. 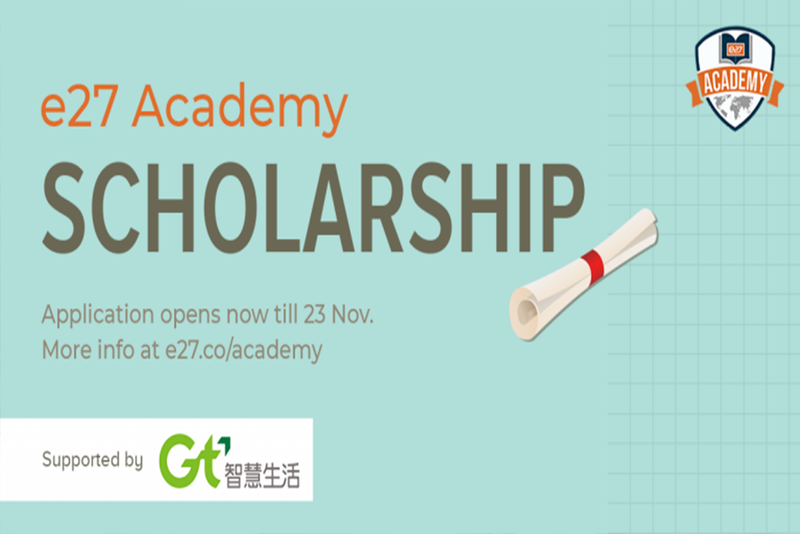 e27 Academy Scholarship programme is now open for application. Do APPLY NOW. For more information, email: engage@e27.co or visit e27.co/academy.